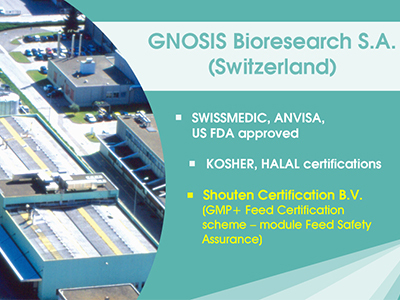 In collaboration with the HealthCare Food Profession Association of Guangdong Province, Gnosis will highlight the clinical evidence, research progress and trends of vitamin K2; the 'old vitamin' that is becoming an innovation point for many application fields of the nutraceutical world. Experts and key opinion leaders will reveal the results of the latest studies and clinical trials on vitamin K2, and its emerging role as a key factor in bone and cardiovascular health. Among them, Professor Luca Tiano, Associate Professor of Biochemistry at the Department of Life and Environmental Sciences University of Marche (Italy), Professor Yuming Chen, Professor in Nutritional Epidemiology at the Department of Medical Statistics & Epidemiology, School of Public Health, Sun Yat-sen University (SYSU), and Silvia Pisoni, Marketing Manager and Scientific Advisor of Gnosis. 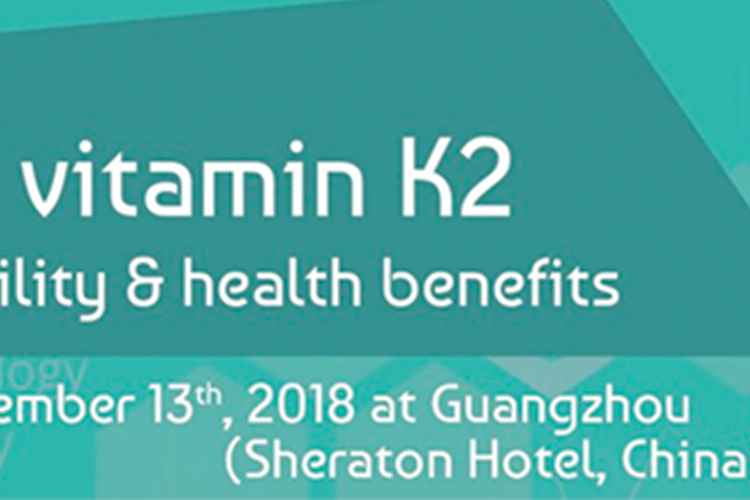 This event will be a great opportunity to learn more about the competitive and deceiving market of the vitamin K2 and to find out the many real advantages of vitaMK7. VitaMK7 is the natural, pure and stable form of vitamin K2 as MK7, produced by Gnosis in its European manufacturing site; thanks to its natural origin and totally allergen-free features, it is also suitable for people with particular dietary or ethical restrictions. 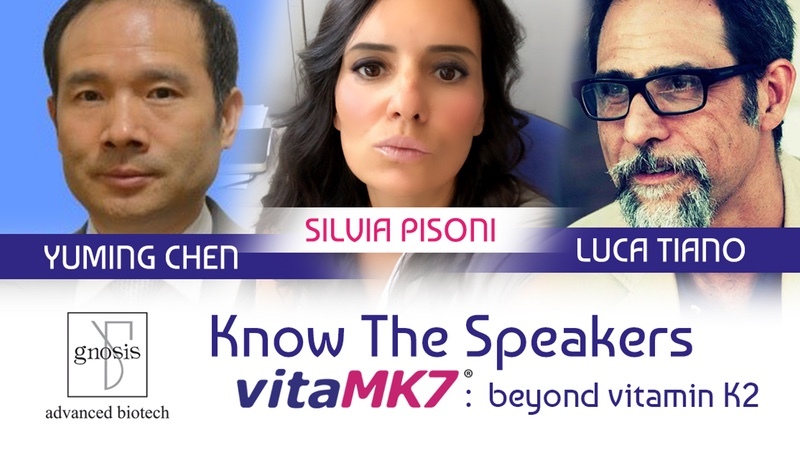 Professor Luca Tiano, is one of the global leading experts in Vitamin K2 as MK7, who held important speeches and conferences on this subject all over the world. 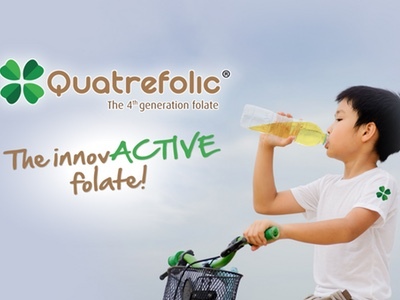 His main research activities presently concern the health effects of lipophilic cofactors (Coenzyme Q10 and Vitamin K) in healthy subjects and under pathological conditions associated with enhanced oxidative stress. Particular interest has been involved in research on bioavailability and biological effects of vitamins and antioxidants in nutritional supplements and functional foods. With more than 140 research articles in peer-reviewed international journals and more than 3400 citation Professor Yumin Chen served as the board member of the council of Chinese Nutrition Society (CNS), Vice Director of the CNS Branch of Community Nutrition and Chronic Disease Management, and the Vice Director of the council of Guangdong Nutrition Society. Silvia Pisoni has a unique insight into the global innovative ingredients market. She taught at the Department of Biomedical Sciences for Health – University of Milano, focusing in toxicity testing of new compounds for drug development process. 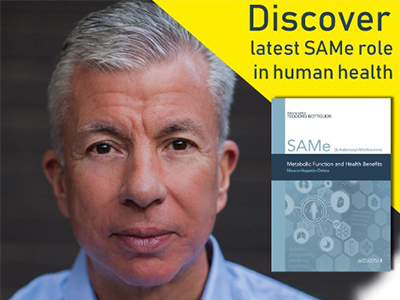 Preclinical toxicity testing on various biological systems to reveals the species, organ and dose specific toxic effects of an investigational product. From 2007 to the present, she has served at Mediolanum Farmaceutici and Gnosis.